Ex Tanzanian President, His Excellence Benjamin William Mkapa as the new Chancellor of Cavendish University. 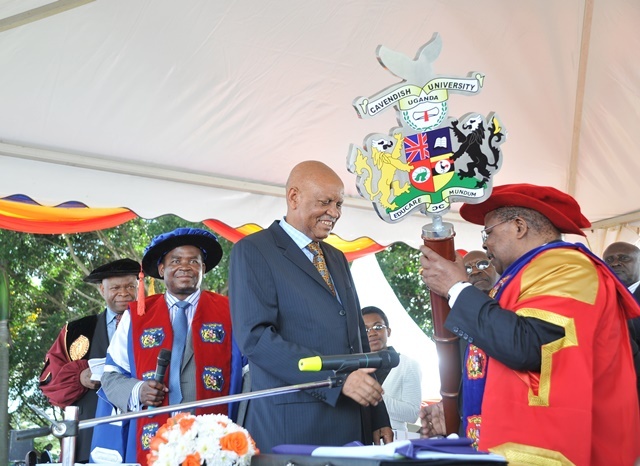 Mkapa was installed by Makerere University Chancellor Prof. Mondo Kagonyera on Friday. He will replace the former Malawian president, Kenneth Kaunda who has been the chancellor of Cavendish for the past two years. Makerere University Vice Chancellor Prof. Mondo Kagonyera (C) installing the Former Tanzania President His Excellence Benjamin William Mkapa as the new university’s Chancellor. This happened during the 4th graduation ceremony of Cavendish University Uganda that took place on Friday December 5 at Speak Resort Munyonyo. 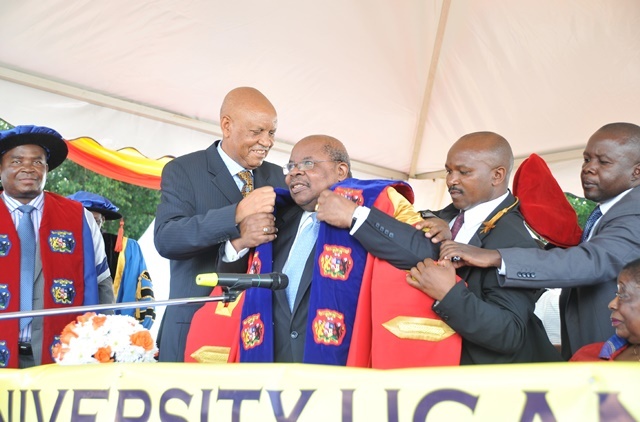 Prof. Kagonyera asked the students and the entire university administration to give Mkapa a lot support so that he executes his services well. Over 1228 students were passed out in various capacities and Mr. Mkapa encouraged them to use the fresh knowledge they have to invest in different available ventures.